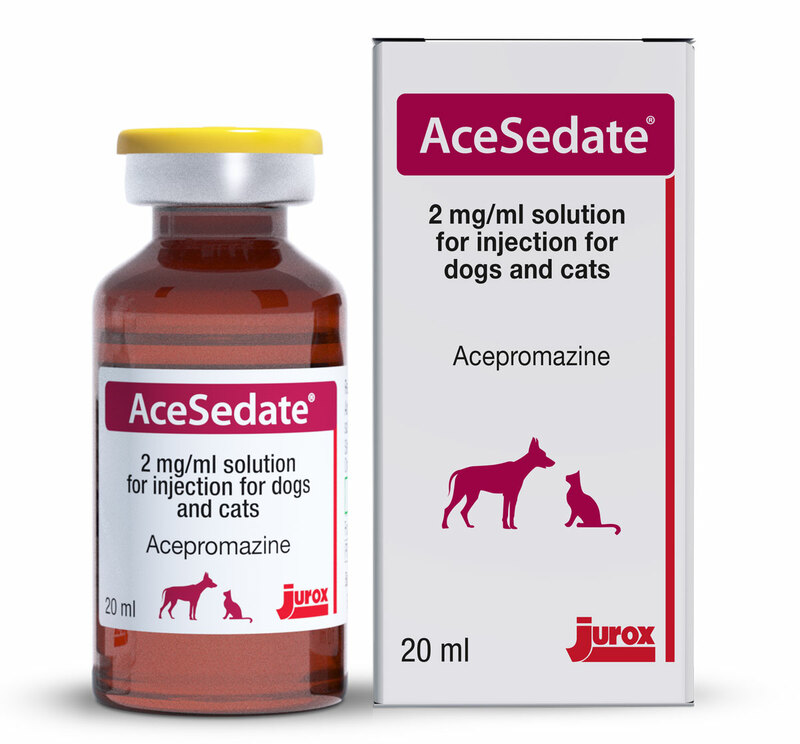 AceSedate is used in practice for anaesthetic premedication, tranquilisation and sedation in dogs and cats. Anaesthetic premedication – following premedication with acepromazine, the dose of anaesthetic induction agent required may be reduced by approximately one-third. Sedation - at a high dose, acepromazine results in sedation. Sedation plateaus at higher doses. Signs of sedation will normally appear after 30 to 40 minutes following intramuscular administration and 10 to 15 minutes after intravenous injection. Sedative effects will last for approximately 6 hours and are not antagonisable. As with most sedative agents, to ensure maximal sedative effect, quiet handling and minimal stimulation are required following administration to reduce the possibility of arousal or excitement. Monitor and maintain the patient’s body temperature following acepromazine administration. Murrell J (2016). Pre-anaesthetic medication and sedation. BSAVA Manual of Canine & Feline Anaesthesia & Analgesia. 3rd Edition. Murrell J (2007). Choice of premedicants in cats and dogs. In Practice 29, 100-106.